Director John Burns of SOS Recovery teaches a training on "compassion fatigue" in Dover. The drug crisis in New Hampshire has left its mark on thousands of people - those struggling with addiction, their families, friends and co-workers. But increasing attention is being paid to another group bearing a burden from the epidemic: first responders and those working in the recovery field. Jim Roberg has been answering the state’s 911 lines for eight years. For the past few years, he’s taken calls on drug overdoses – at what feels like a constant rate. “I would probably say – a hundred, maybe two hundred – something like that. I couldn’t even begin to tell you,” Roberg said. These calls may only take a few minutes but Roberg says what he hears on them – sticks with him. Jim Roberg says he's taken hundreds of 911 calls for overdoses in N.H. and these calls...are leaving a mark. It’s hurt his sleep and his relationship with his fiancée. He’s organizing a peer support group to help his colleagues in the same situation. “I think there’s been for a long time a stigma of you guys just answer the phone, you don’t see anything – and I think that’s what really needs to change because imagination is a crazy thing, what I can’t see I am going to picture in my head," he said. What Roberg is describing here has a name – it’s called “compassion fatigue”. And officials in the field like Deb Pendergast says it’s an increasing problem for first responders across the board. Pendergast directs the state’s fire academy and emergency medical services. For the past year, she’s been offering compassion fatigue training to first responders across New Hampshire. She says her office has received an influx of calls in recent months from departments wanting to know the signs and how to treat it. "The expectation that we can be immersed in suffering and loss daily and not be touched by it is as unrealistic as expected to be able to walk through water and not get wet," said John Burns. Symptoms include trouble sleeping, difficulty focusing, mood swings and lack of empathy on the job. But the biggest hurdle, Pendergast says, is getting first responders to acknowledge there’s a problem. In Nashua the fire department recently held a training to help those dealing with this strain. 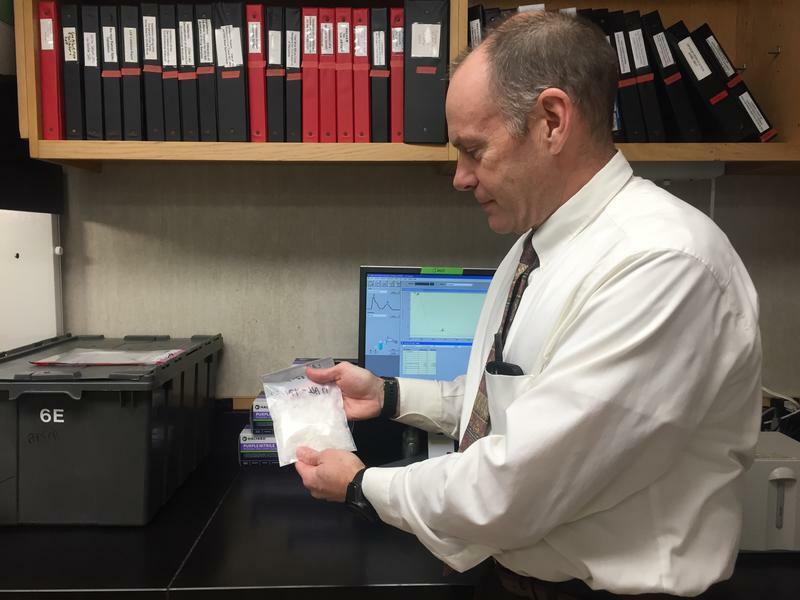 Firefighter Lt. Glen Telgen says the number of overdoses he’s responded to have really worn on him…especially treating the same person over and over – some even in the same day. 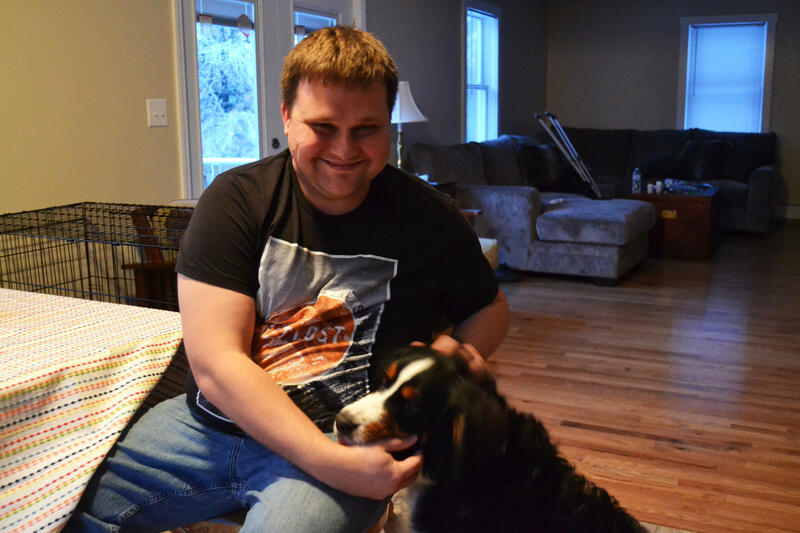 “You know depression, bad attitude, shortness with my kids and we don’t even know we are doing it, it’s not like we are trying to do it – we are not trying to go home and be miserable,” Telgen said. 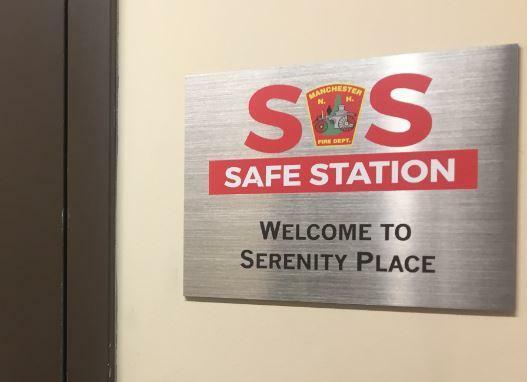 Last year Nashua saw nearly 1,300 people walk into the city’s fire stations looking for substance abuse help under the Safe Stations Program. 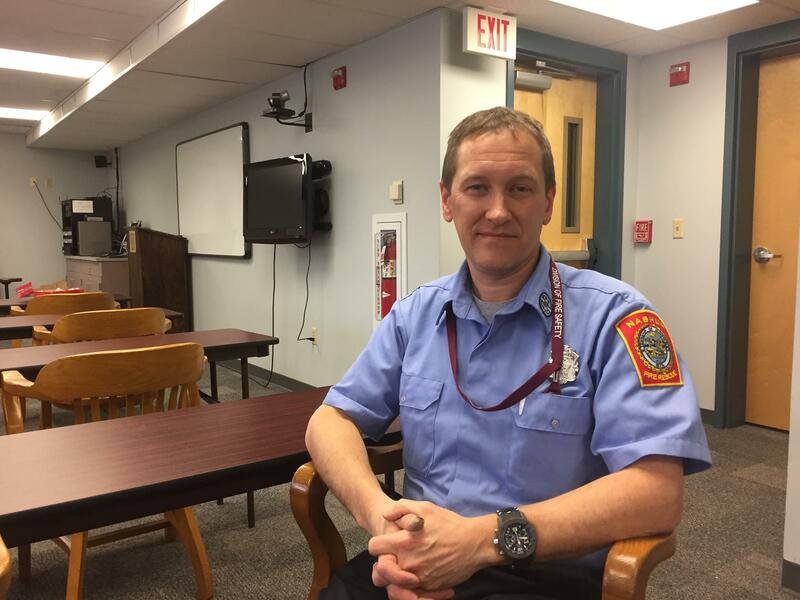 Captain Glenn Nielsen of the Nashua Fire Department led a training last month on "compassion fatigue" to make everyone aware of the signs and how to treat it. Telgen is a fan of the program but says there needs to be some follow up with the patients – just to show the firefighters, that they are making a difference. “No one will ever argue that if you had to deal with 500 Safe Stations and you had two got on the right path – that’s worth it, it’s worth it for us, we even know that. But we don’t necessarily see that side. But for us to just keep taking the beating – and by beating I mean, all hours of the night, weekends,” Telgen said. I met Deirdre Boryszewski at a similar training in Dover. She’s in long-term recovery and works with people seeking sobriety. 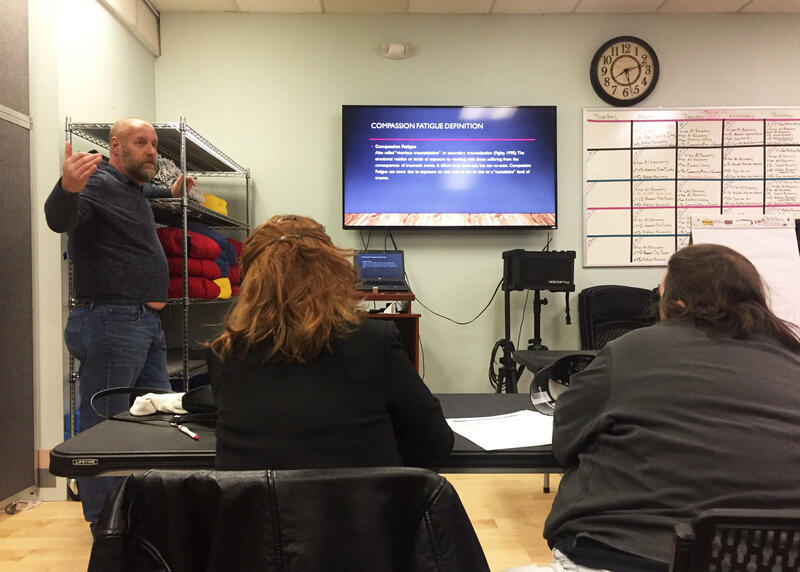 “The expectation that we can be immersed in suffering and loss daily and not be touched by it is as unrealistic as expected to be able to walk through water and not get wet," said Director John Burns during a training session at SOS Recovery. When her boss Burns went over the symptoms of compassion fatigue, many in the room, including Boryszewski, nodded along. 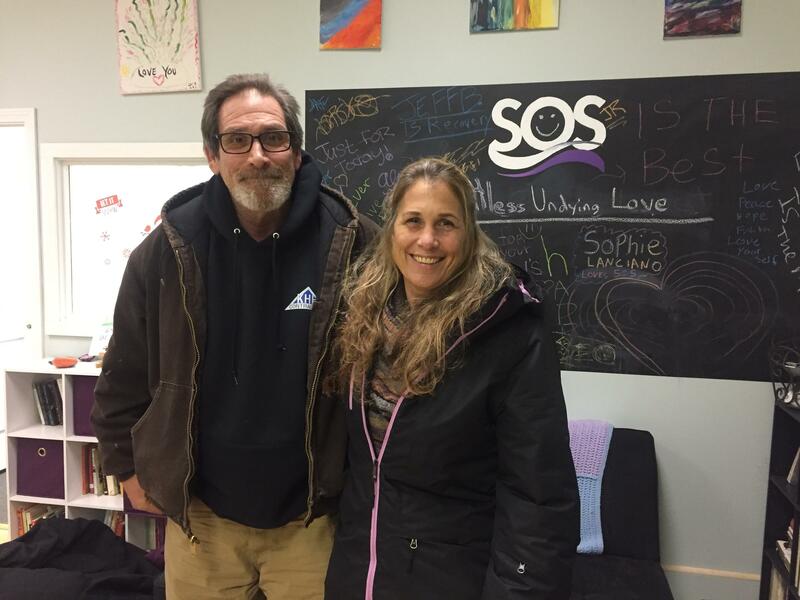 Mark Coburn and Deirdre Boryszewski are recovery workers at SOS in Dover. They said working in this field - it's hard not to have "compassion fatigue." Boryszewski says she’s had to learn, she’s not Wonder Woman and for her own health - she can’t try to be. “A lot of it for me is not setting myself too high as far as ‘ok today I am going to go to work, and I am going to help 20 people and they are all going to come back the next day’ – oh that is just crazy," she said. Boryszewski says she’s going to start focusing on her own health more – go to the gym, eat healthier. But as for the job – she says she still plans to come to work the next day and the one after that as long as she feels needed. New Hampshire’s substance abuse crisis is often linked with a single type of drug: opioids. But another illicit drug is rising in use. That’s methamphetamines. Over the past three years, meth cases have more than doubled each year in the state. NHPR’s Paige Sutherland reports from one Southern New Hampshire town where meth use is raising particular concern. A crucial treatment provider in the state’s effort to combat the opioid crisis collapsed, with little warning, last month. But some say this incident has exposed gaps in the state’s ability to oversee a critical system of care. 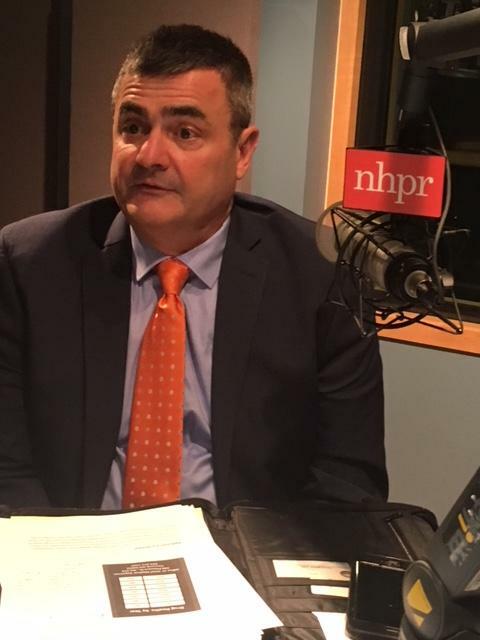 New Hampshire "drug czar" David Mara discusses the state's efforts to address the on-going addiction crisis. Is the Granite state spending enough to prevent and treat addiction? What's the right balance between law enforcement and treatment? And is there adequate oversight of the state's drug treatment infrastructure? We also look at lessons learned from the closure of Serenity Place, Manchester's addiction treatment center associated with the Safe Station program. Also, we hear from NHPR's Paige Sutherland on her extensive reporting on the opioid crisis in New Hampshire.